The Dragon Link Advanced Nano OSD uses the best components available to generate highest quality video and graphics on your video screen. This is not the typical cheap basic OSD with very limited capability. This is a full graphic OSD capable of displaying a full flight instrument display, and many other advanced funtions. The Dragon Link OSD has programming to easily integrate with the Pixhawk or any other Mavlink Flight controller. The Dragon Link Advanced OSD makes use of the GPS, and other telemetry from your Pixhawk or Mavlink flight controller and displays it on your video screen, so there is no need to purchase other accessories to make it work. The Dragon Link OSD will work with any RC system, but it also features single cable connection, and special programming give additional features and information when the Dragon Link system is being used. For use with non Dragon Link receivers, simply connect the intput cable to the PPM output of your RC receiver. The optional power supply / BEC board take input from your aircrafts battery from 12 to 26 volts ( 3 - 6 Cells ), and supplies clean 5 and 12 volt power to supply the OSD and all the FPV equipment on your plane. We use the highest quality power components to avoid noise, brownouts, bad video, and other problems typical with cheap BEC / Power devices. 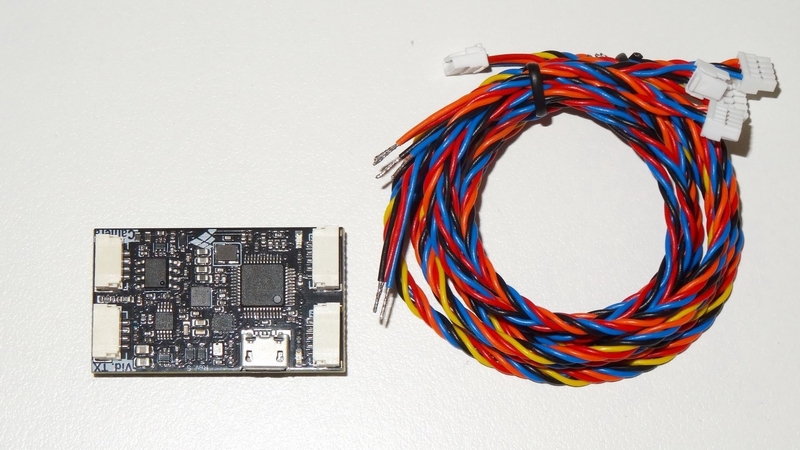 The power board comes pre-mounted to your OSD and does not increase its size, and only increases weight by 3 GRAMS.